2x VITAMIN C IN JELLIES - Natural dermocosmetics and dietary supplements. Collagen creams. The most delicious vitamin C with lemon flavour for children and adults! 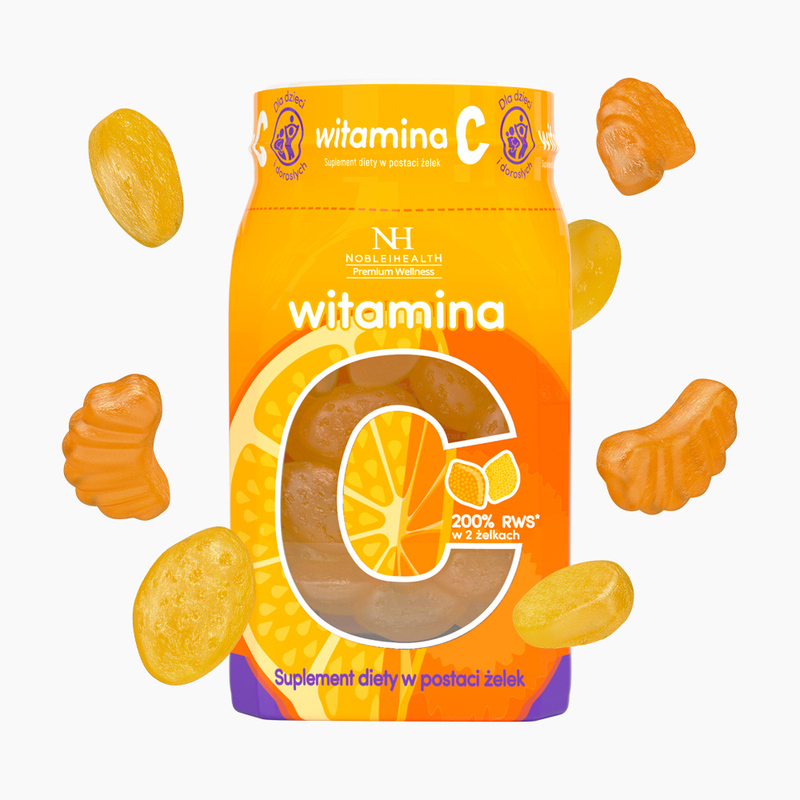 Vitamin C for those, who prefer lemon taste of jellies! Vitamin C in the form of jellies is a nutritional supplement for the younger and older. Each jelly contains 100% of recommended vitamin C intake per day. 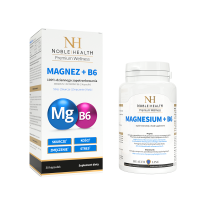 This allows you to fully experience how the vitamin C supports your body work. Our jellies have a lemon flavor that will make you willingly reach out for the next dose of vitamin C everyday. 1. Can children use these jellies? Yes. Vitamin C can also be used by children. They should take 1 jelly per day. 2. Who is Vitamin C intended for? Vitamin C is a dietary supplement in the form of jellies. 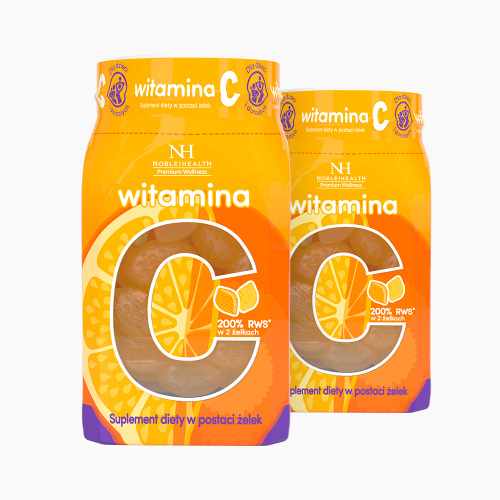 If you want to ensure that your body's vitamin C levels are adequate and that your immune system helps to reduce fatigue or tiredness, then our preparation is right for you. 3. What is the composition of Vitamin C in jellies? Ingredients: glucose syrup, sugar, water, gelatin, L-ascorbic acid (vitamin C), acidity regulator - citric acid, stabilizer - sorbitol, plant oils (palm, coconut), dye - safflower extract - carthamus, natural citrus aroma, Glazing substance - carnauba wax. 4. What are the properties of vitamin C in jellies? 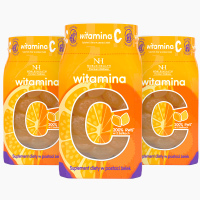 Vitamin C is commonly known for its properties. It contributes to the normal functioning of the immune system and to reducing the feeling of fatigue. 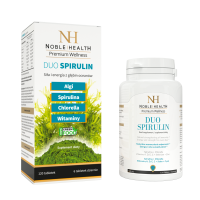 It helps to protect cells from oxidative stress as well as helps in the proper functioning of the nervous system. 5. How to use vitamin C in jellies? Adults should use 2 jellies per day, while children - 1. Before swallowing, the jelly should be thoroughly chewed. Do not exceed the recommended daily intake. Dietary supplements can not be used as a substitute for a varied diet. A balanced diet and healthy lifestyle are important for maintaining good health. Daily portion provides ingredients in quantity to ensure declared health benefits. It is not recommended during pregnancy or breast-feeding. 6. How should I store Vitamin C in jellies? Store it in a dry, sunless place at room temperature. Dietary supplements should be stored in a way that is not accessible to young children. 7. How many jellies is contained in the package of Vitamin C in jellies? In one package you will find about 60 jellies. 8. What is the net weight of Vitamin C in jellies? The net weight of the product is 300 g.
9. What flavors have Vitamin C jellies? The jellies have a lemon flavor. 10. Can I take the product during pregnancy or breast-feeding? For me a sensational product !! Vitamin in the form of jellies. Cool! !